It’s #NationalGardenMonth! In our blog this week, we’re celebrating all things garden related. For one weekend only this June, Amsterdam’s most prestigious and pristine canal houses open their gardens to the public. Despite the narrow facades of Europe’s most iconic canal houses, the gardens are unexpectedly large, stretching beyond the bustling streets of the grachten. The narrow townhouses lining Amsterdam’s 17th century canal rings are probably the most photographed feature of the Netherlands. 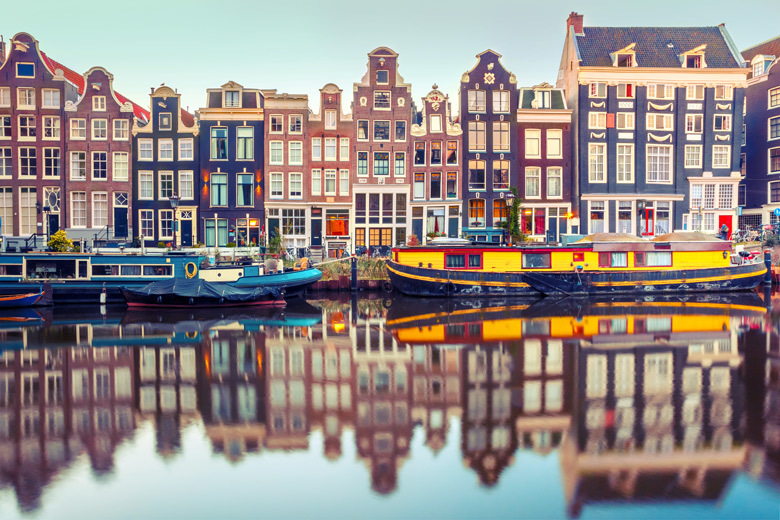 While nowadays, the canal houses are acquainted with wealth and style, the houses were originally built in such a way due to Amsterdam’s tax laws. Due to the small size of the country and the rapid growth of the city, Amsterdam’s land owners were taxed according to the width of their frontage. It was only natural, then, that savvy businessmen would build their houses as tall and skinny as possible. This also allowed land owners to include gardens that stretch back away from the canal; tranquil oases beyond the everyday hustle and bustle of the canals. To many Amsterdammers who live beyond the canals, life in the canal houses can be quite a mystery. That’s why the Open Garden Days, held every June from the 16th to the 18th, is interesting for locals and tourists alike. Organised by the Museum Van Loon, the gardens vary from traditional Amsterdam gardens to contemporary takes on Dutch design. All of the gardens are beautifully manicured and you’ll have the rare opportunity to learn about the history of these houses. Often, these canal houses were only occupied during winter. In the summer, wealthy residents would escape to their summer houses. Some of the houses, particularly on the Herengracht, feel like the Dutch version of Downton Abbey. There’s no need to reserve tickets for Open Garden Days, or Open Tuinen Dagen in Dutch. You can buy a three day pass to all participating gardens from the Museum Van Loon, Keizersgracht 672. While you’re in Amsterdam, why not visit the top 5 gardens in Holland. Stay in a holiday park near Amsterdam and enjoy the perfect combination of nature and the city!